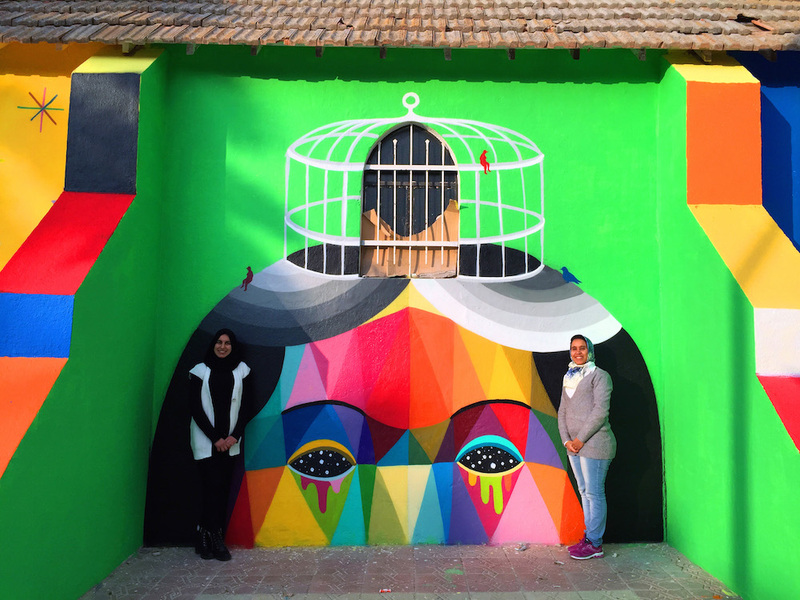 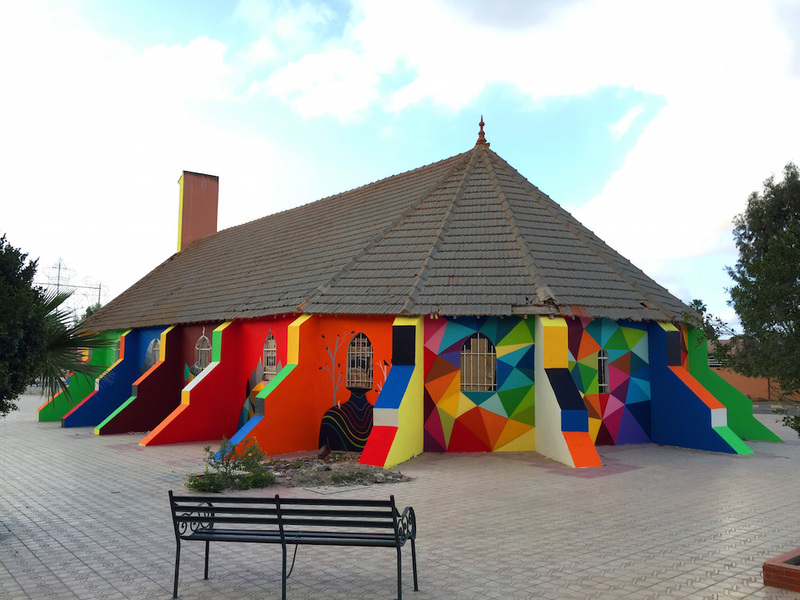 Street Artist Okuda San Miguel has transformed a structure once again into beautiful work of art. 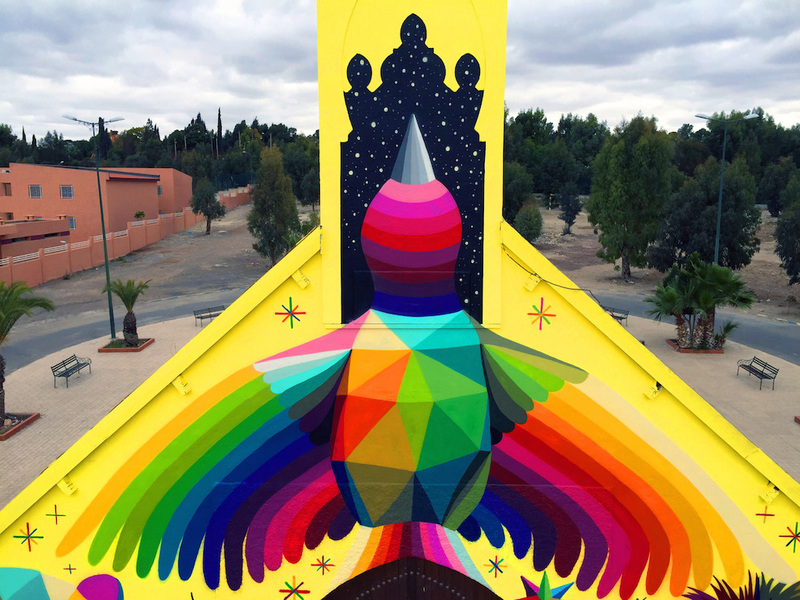 San Miguel has covered an abandoned Moroccan church into a 360-degree mural titled "11 Mirages to Freedom." 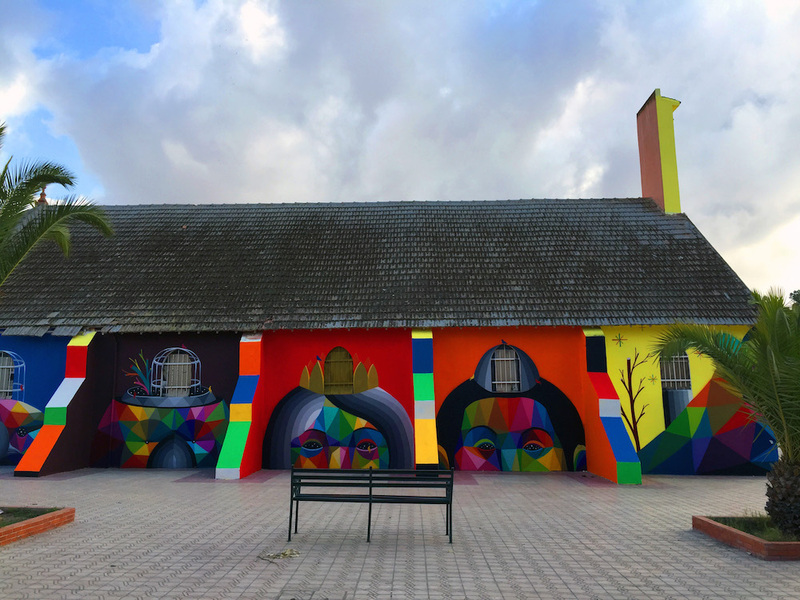 San Miguel has thoughtfully included every part of the structure into the design of his work - including the bars on the windows.